Saint Valentine, Terni's first Bishop, died in 273 on the orders of the Roman prefect Placidus Furius during the persecutions ordered by the emperor Aurelius. If you decided to live your Valentine's Day in the city of Saint Valentine, you should contact now offers the best hotels in Terni. His life, given to the apostolate and enobled by his matyrdom, induced the citizens of Terni in 1644 to proclaim him the Patron Saint of the City and patron saint of lovers. But the fame which Saint Valentine all over the world is due to the legend which originated in the anglo-saxon countries, that he used to make the present of a flower from his own garden to his young visitors. 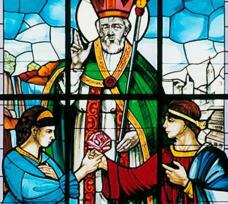 Two of these young people fell in love; and this love risulted in a union so happy that many other couples followed their example, to such a point that the Saint was induced to dedicate one day of the year to a general benediction of the state of matrimony. The present Basilica was built in 1605 on the ruins of precedent temples, and contains works of art of a certain interest, in particular in the crypt. Every year in the February month Terni celebrates Saint Valentine, the patron saint of town, with a series of cultural and religious meetings. 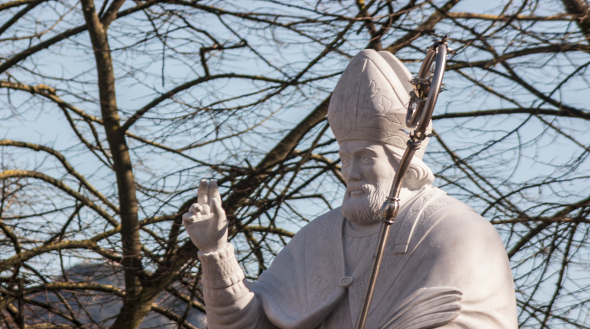 >> Do you want to discover the history of the patron saint of Terni? Check it out now the best B & B in Terni.